Keep that PT going. 35 will turn into 50 then 75 then 100%. Hang in there kiddo. 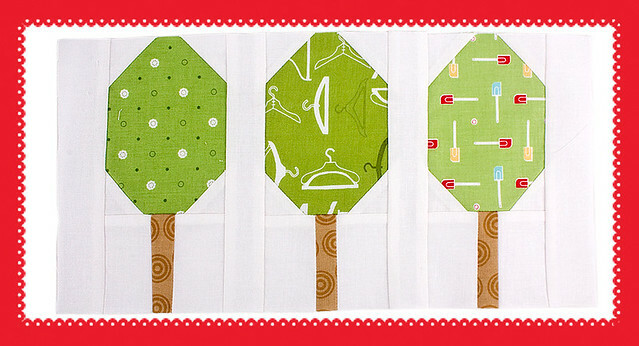 Love the quilty trees. Good luck with the PT. It will improve it just takes a while. I'm laid up with a broken leg so I know how you feel. I've tried hand sewing but keep nodding off. I'm itching to get sewing. Especially because for Christmas my very smart husband gave me a copy of Quilty Fun. Patience right? I hate it that you're not feeling well Nanette! I hope physical therapy is helping! Cute trees! I love the fabric she used for the trunks...it almost looks like knots in the wood. I'm so sorry that you're still not feeling well. I hope the physical therapy brings you back to 100% very soon. I know you must miss sewing to the extent you're used to. Take care. I have been so away from blogging .... very sorry to hear you haven't been feeling well, hang in there with the PT thing. Little steps. (hugs) to you. Glad to hear there has been some improvement--hope it continues that way. Love those trees. I bought a rotating mat with a 50% off coupon a few years ago and it is great to have on hand. The round one is clever too! Baby steps! You'll get there! Your trees look great. I had a few of those in my shop and they flew out the door. I have been debating getting some more? Hope you are having a great day my dear.